Dealing with your commercial waste has never been easier! Rubbish Begone offers you a fantastic commercial waste collection London package at a reasonable price. Whether we’re talking about one-off rubbish clearance or a regular service for your business, you can always count on us to be there. With Rubbish Begone by your side, you can completely remove the nuisance of dealing with commercial waste from your daily life! Why Our Commercial Waste Collection is Your Best Choice? Here is a fun fact – every two hours, the UK produces enough waste to fill the whole Albert Hall up. That’s a lot of waste. And if we take the quantity produced for 8 months – we can fill the whole Lake Windermere! And it’s the largest lake in England. Our customer service representatives are available 24/7 – you can always reach us on our hotline 020 3404 1106! If you’ve got any questions or specific requirements, then simply share them with us – we want you to experience the absolute comfort of the best commercial waste collection servicing available in London! We can also help out with tech. For collection of electronics, make good use of our IT disposal service! 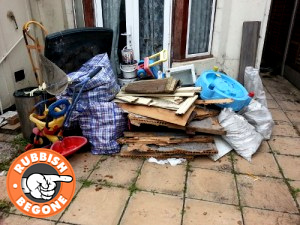 Call Rubbish Begone Today – Book a First-Class Commercial Waste Removal! We will gladly help you deal with all sorts of waste – just call 020 3404 1106 and talk to our office staff. Don’t forget you can schedule a visitation online as well.